Clean vents. Remove dirt, debris, dust and anything else that has ended up in your vents. Also, make sure to check the condition of your vents, if they are damaged in any way they need to be replaced. Damaged vents can impeded airflow causing high energy bills. Yearly tune ups. 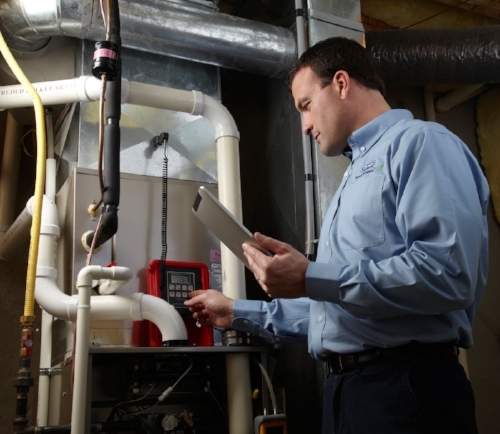 Have an experienced HVAC technician inspect your furnace annually. They can find things that could be over looked during a self-inspection. HVAC technicians go through a detailed check list to make sure your furnace doesn’t leave you out in the cold. Change filters. Dirty filters make your furnace run harder than it should which will increase your energy bills. Take the time each month to check your filters and change them out if they are dirty. Purchasing high quality filters could reduce the need to change filters every month. 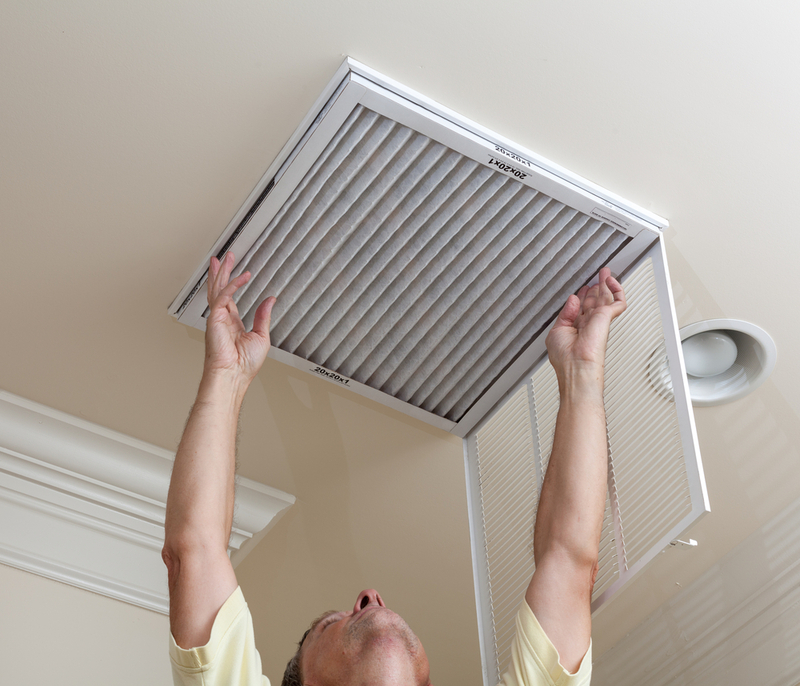 Clean air filters improve air flow and will increase your heating systems efficiency. Clean your furnace annually. Make sure to clean your furnace annually because dirt and dust will eventually cause problems for your furnace. A dirty furnace can decrease heating productivity, use more energy and increase your energy bills. Annual cleanings can help to keep your furnace running in tip top shape. During those cold winter nights, your heating, ventilation, and air conditioning (HVAC) system becomes the most valuable commodity in your home. But if it's running poorly, that means less comfort and higher energy bills for homeowners. Heating your home and producing hot water are generally the largest energy expenses for any homeowner, so you can ensure your home heating bill remains as reasonable as possible by supporting your HVAC system and keeping it running properly. Just like the weather, your heating and cooling needs vary with the seasons. Familiarizing yourself with seasonal tactics used to control energy costs such as adjusting ceiling fans, utilizing attic and whole house fans, seasonally adjusting your thermostat, and more can help keep your home and family comfortable without wasting energy dollars. • Check thermostat settings to ensure the cooling and heating system keeps you comfortable when you are home and saves energy while you are away. • Tighten all electrical connections and measure voltage and current on motors. Faulty electrical connections can cause unsafe operation of your system and reduce the life of major components. • Lubricate all moving parts. Parts that lack lubrication cause friction in motors and increases the amount of electricity you use. • Check and inspect the condensate drain in your central air conditioner, furnace and/or heat pump (when in cooling mode). A plugged drain can cause water damage in the house and affect indoor humidity levels. • Check controls of the system to ensure proper and safe operation. Check the starting cycle of the equipment to assure the system starts, operates, and shuts off properly. What's Going on with your Unit? It is not uncommon to find Ed, the owner of Trinity, speaking to customers over the phone, when temperatures are high and a customer is stranded without air conditioning for a day or two. When we are at our busiest he often asks what is going on with your unit and, in some circumstances, can even get you cooling until one of our technicians can visit your home. Below is a list of some of the problems your unit encounters so you can know what may be wrong with your unit next time! Unlike most furnaces, air conditioners are complex mechanical systems that depend on a wide variety of conditions to work correctly. They are sized to meet a certain “load” on the house. They are designed to have certain amount of refrigerant, known as the “charge”. They are designed to have a certain amount of air flow across the coils. When any of these things changes, the system will have problems. If you produce more heat indoors either from having more people or appliances or because of changes in the house, the air conditioning may not be able to keep up. If the refrigerant charge on the system leaks out, it lowers the capacity of the system. You will simply get less cooling and system will not be able to keep up when the load gets high. If airflow across the outdoor (condenser) coil is reduced, the ability to reject heat outdoors is reduced and the again the capacity of the system may go down, especially at higher outdoor temperatures. In dry climates such as the Southwest United States, the same issues happen with regard to the indoor (evaporator) coil: higher airflow helps, lower airflow hurts. In humid climates, the situation is more complex. At higher airflows, there will be less dehumidification, leading to high indoor humidities. If the airflow gets too low, however, the evaporator coil may freeze. This makes performance worse and can damage the compressor until it fails - leaving you with an expensive repair bill and no cooling! This is why keeping up a maintenance plan is so important! The cleaner your unit and coils are, the more efficient your unit can run! Air conditioners do more than just cool the air. They also take humidity out of the air, making the air more comfortable. Don’t set your thermostat fan to the “on” position all day. Rather, choose the “auto” position, where it will blow air only when the cooling system is running. When you leave the fan blowing air all the time, moisture will be blown back into the house and affect your humidity levels. 1. Factors such as rightsizing, system updating, and types of refrigerant used can significantly affect HVAC efficiency. 2. An electronic air cleaner is 40x more efficient than a standard throwaway filter in removing unwanted particles from your home. 3. A variable speed heat pump can trim energy costs by as much as 40%. 4. You can increase the efficiency of your home by up to 30% by investing in proper insulation and sealing air leaks around windows and doors. 5. In NYC, it is estimated that poorly fitted air conditioners cost buildings $130 million to $180 million a year in extra fuel consumption! 6. An oversized HVAC system increases installation costs, wastes energy, and costs more in overall operating costs than a correctly sized system. 7. 75% of the electricity used to power home electronics is consumed while the products are turned off – so unplug and conserve! 8. The Romans were the first civilization to use any type of warm-air heating system. 9. The first air conditioner wasn’t for people’s comfort! The first modern air conditioner was invented by Willis Carrier in 1902 for a publishing company in Brooklyn. The machine kept temperature and humidity low so that paper didn’t expand and contract. Carrier never intended for his invention to be solely used for comfort! 10. The top 3 commercial energy uses in the US are: lighting, space heating, and space cooling.